﻿ Best Security Solution and Remtoe Support/Control Solution Provider - Ahranta, Inc. According to Swedish multinational Company, Ericsson, 1.9 million people in the world are using smart phones in 2013. International Data Corporation reported that the shipment of smart phone in 2013 is over a billion. Our daily life is changing rapidly with all these new mobile devices. The customer support for mobile device has been increasing and its importance has been emphasized. For a better customer support, it is necessary to use Mobile Remote Control Solutions. However, there is a security risk to personal information of the customer. 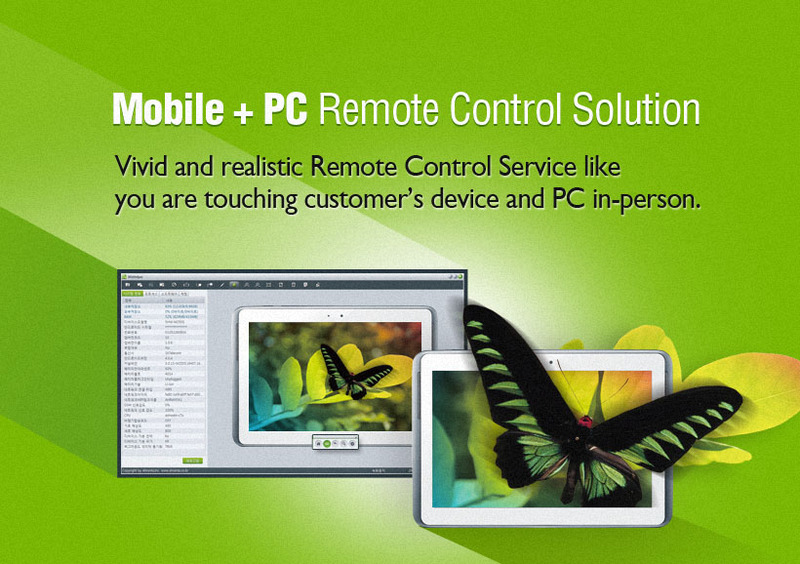 WizHelper is Web based Mobile + PC Remote Control Solution specialized in security. With this program, you can protect your customer's privacy and increase reliability of your corporation. Try WizHelper! It will put a smile on your customer's face and bring the work efficiency to your corporation. 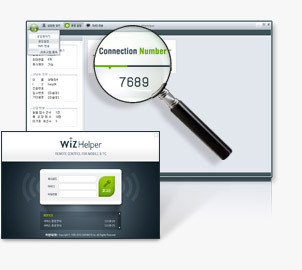 • WizHelper protects the personal information perfectly during Remote Control Service with our specialized technology. • An agent can deal with a maximum of 6 customers simultaneously so WizHelper can reduce waiting time of the customer and increase work efficiency of the agent. 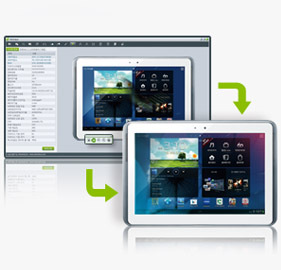 • With our virtual remote video driver technology, you can remote control fast and smoothly. 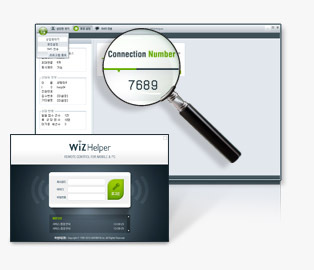 • Wizhelper offers many functions for remote control such as Drawing, Send URL, File Transfer, View Process Info, View Hardware Info, View Software Info, Screen Capture, Recording, Session Transfer and Chat. • Simply DRAG & DROP to send files and folders. • During the file transfer, the agent can proceed the session, use other functions of remote control and check the progress of transferring and the transfer log. • The agent can switch to the other session without ending the ongoing session. So the agent will be able to support other customer first and then come back to the previous session. • If the agent finishes the session, they will get back to the Agent Program's standby page. They can still add new customers and provide remote control service without ending ongoing session with customer. • Switch between 3G, LTE, LTE-A and Wi-Fi without disconnection. If a customer connects to the service with 3G, LTE, LTE-A, they can switch to Wi-fi during the session. • On the Administrator Page, you can see all the detailed statistics of customer support. All statics can be seen by agent, by time, by OS and etc. All data can be extracted as excel files. • You can also set groups, issue type, business hours and holidays on the Administrator Page. When Financial institutions, Corporations and Public institutions that are in need of large scale of Customer Service want to reduce time and cost for Customer Service. Without any limitation of place and time, many people can share the screen for the meetings, the presentation, the seminar and the education. Computation department or Maintenance Company can use Remote Control Service to reduce the cost of visiting the place. When Financial institutions, Corporations and Public institutions that are in need of Mobile Remote Control service try to increase reliability of customers and effectiveness of work. 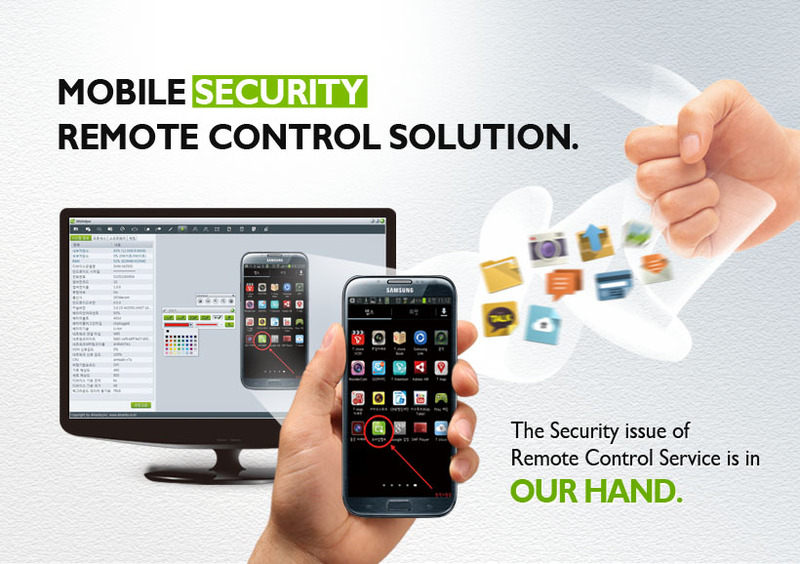 Strengthen Security for Mobile Remote Control. Protect Corporate and personal information. Strengthen Information Security by blocking the leakage of app, file and document. Improve the productivity of Remote Control Service. Reduce the cost of customer support. Strengthen the protection of the user information and personal information with the function which blocks access to app and files. Improve the level of customer satisfaction with real time response of Remote Control. Increase the reliability of the customer center. Strengthen the security consciousness about the personal data in the mobile device and PC. 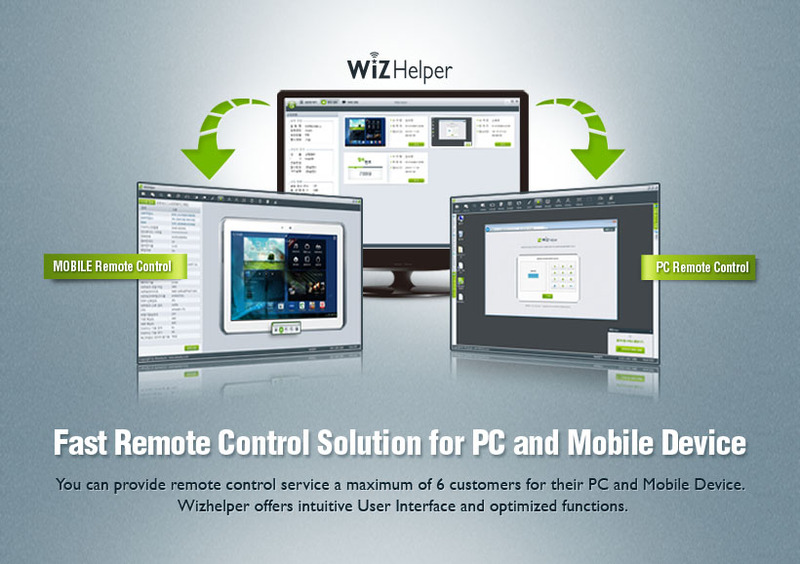 WizHelper has all the necessary functions for Remote Control Service. Intuitive icons and user interface has been applied to improve the work efficiency of the customer service agent. 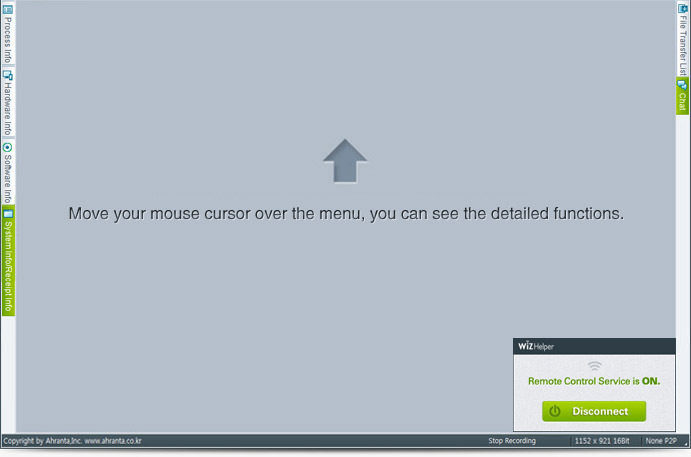 Move your mouse cursor over the menu, you can see the detailed functions. Capture the screen of customer's PC and save it as image file (*.jpg) on Agent's PC. Record the session and save it as video file on Agent's PC. You can play the recording file. The agent send URL to Customer's PC and open the URL on it. File transfer is to transfer the files between Agent PC and Customer PC. Run a certain programs on customer's PC. Automatically connect with the agent after rebooting the customer's PC. You can draw lines, shapes and arrows with different colors and thickness easily. You can change the resolution and see the clear image. Refresh the screen of Customer if there is afterimage phenomenon. You can Zoom in the screen of the customer's PC. You can Zoom out the screen of the customer's PC. Scale the size of the customer's PC screen to fit in Agent's PC monitor. Maximize the customer's screen to full screen of agent's PC. 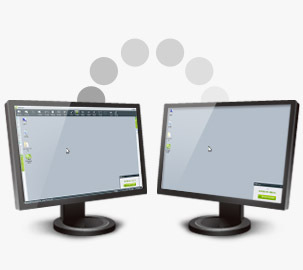 Select either Fast mode(DRV) or Slow mode(GDI) that is suitable for the customer's PC environment. You can transfer the session to other agent or you can share the screen with Senior agent to get advice for the session. #2 Customer, Install App and start the app. 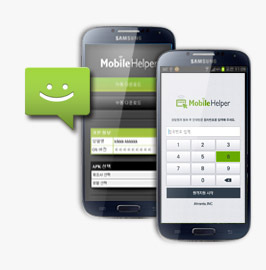 Send SMS to customer so that the customer can install Mobile Helper app. When the customer starts the app, he or she have to put 4 digit connection number that CSA informed and tap [Agree] to start. 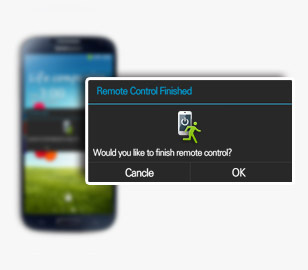 When CSA accept the request for the Remote Control, Safe Security Remote Control starts. CSA can help the customer easily with various and convenient functions. When the Remote Control Ends, Tap [End]. CRA can fill in support record and the customer can choose service quality satisfaction. The customer goes to WizHelper service page that the CRA informed. Click the standby number icon or enter the connection number and click the remote control request button. When the Remote Control ends, Click [End] button. CSA can fill in Support Record and the customer can choose service quality satisfaction.